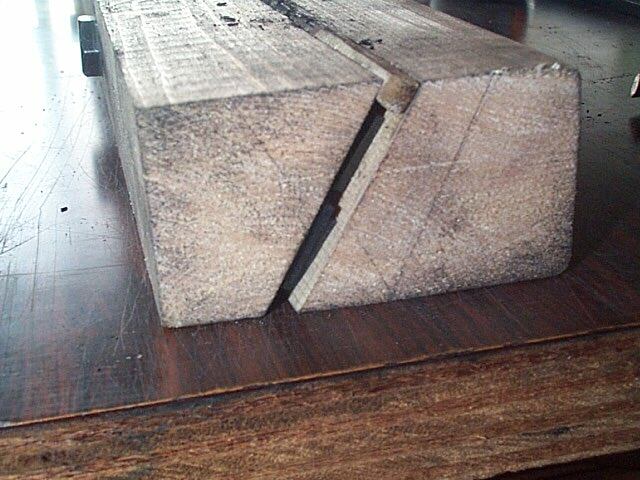 Slashed out 2x4 SPF wood in vertical 30 degree using a band saw or table saw. 5 bolts are set to vise a bamboo strip in between. Rubber belts inside will hold a strip to stay at the appropriate depth. 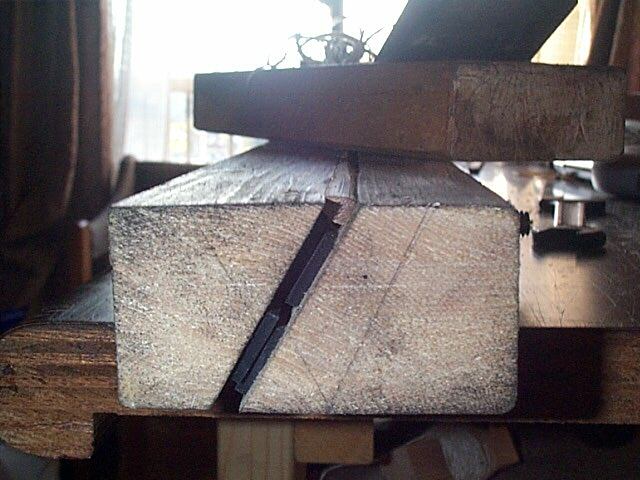 Vise-ing a strip tightly, then the strip will lean over 30 degree wall. 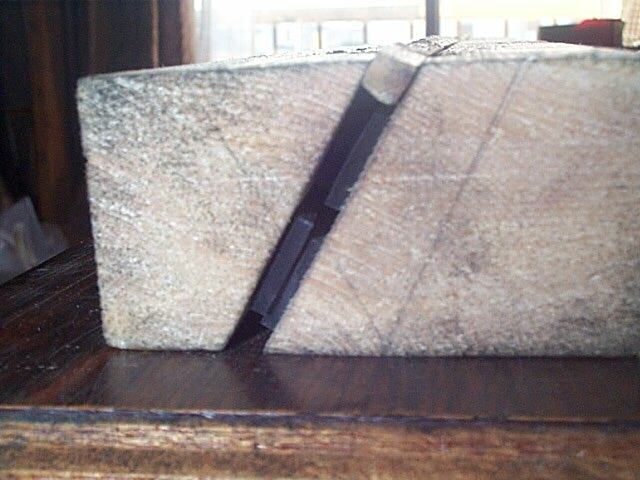 a Japanese style plane which has a big hard steel blade, which sole is grooved. You can use bench plane instead, or power plane. effect. 60 degree angle is automatically there. A combination of wooden rough forms. Grooved sole plane could be another good idea to use with these wooden forms too, using a scarely sharpened hard steel blade. Enjoy it! Merry Christmas, 1999. (c) Copyright 1998-2006 Max Rod Craft All rights reserved.